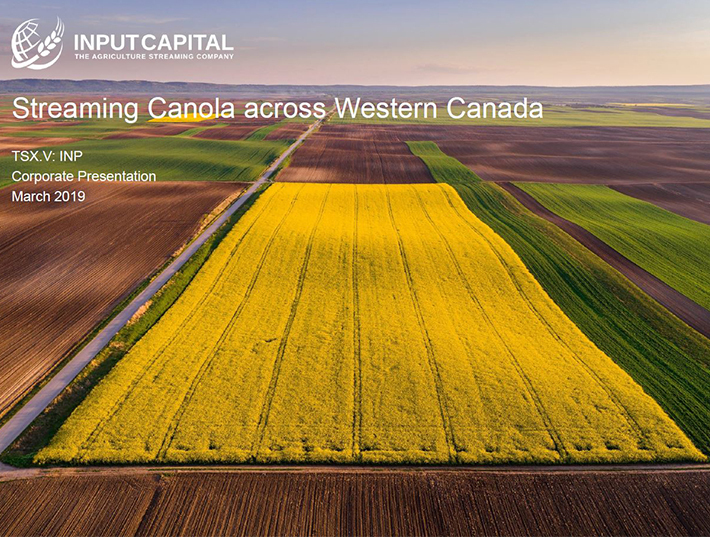 REGINA, May 28, 2018 /CNW/ - Input Capital Corp. ("Input" or the "Company") (TSX Venture: INP) (US: INPCF) announces that it has filed a Notice of Appeal with the Saskatchewan Court of Appeal in the matter of the decision of the Saskatchewan Court of Queen's Bench ruling of May 17, 2018. As was previously announced on May 18, 2018, the Company was granted a judgment for approximately $4.4 million, together with interest and court costs, in a matter relating to streaming contracts in which a farmer defaulted. Notwithstanding the successful outcome, the Company believes the trial judge erred on several accounts with respect to the interpretation of the streaming contracts and security, the full details of which are set out in the Notice of Appeal, and these are the basis for the Company's appeal.